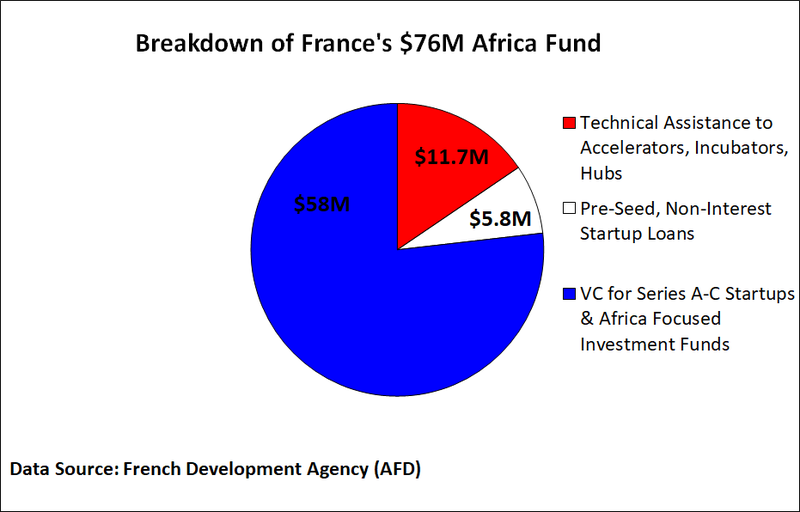 Weeks after French President Emmanuel Macron unveiled a $76 million African startup fund at VivaTech 2018, TechCrunch paid a visit to the French Development Agency (AFD) — who will administer the new fund — to get more details on how le noveau fonds will work. The $76 million (or €65 million) will divvy up into three parts, according to AFD Digital Task Team Leader Christine Ha. The $58 million in VC startup funding will be administered through Proparco, a development finance institution — or DFI — partially owned by the AFD. The money will come “from Proparco’s balance sheet”…and a portion “will be invested in VC funds active on the continent,” said Ha. Proparco already invests in Africa-focused funds such as TLcom Capital and Partech Ventures. “Proparco will take equity stakes, and will be a limited partner when investing in VC funds,” said Ha. Startups from all African countries can apply for a piece of the $58 million by contacting any of Proparco’s Africa offices (including in Casablanca, Abidjan, Douala, Lagos, Nairobi and Johannesburg). The $11.7 million technical assistance and $5.8 million loan portions of France’s new fund will be available starting in 2019. On implementation, AFD is still “reviewing several options…such as relying on local actors through [France’s] Digital Africa platform,” said Ha. Digital Africa ­— a broader French government initiative to support the African tech ecosystem — will launch a new online platform in November 2018 with resources for startup entrepreneurs. So that’s the skinny on France’s new Africa fund. It adds to a load of VC announced for the continent in less than 15 months, including $70 for Partech Ventures, TPG Growth’s $2 billion Rise Fund and $40 million at TLcom Capital. Though $75 million (and these other amounts) may pale compared to Silicon Valley VC values, it’s a lot for a startup scene that — at rough estimate — attracted only $400 million four years ago. African tech entrepreneurs, you now have a lot more global funding options, including from France.